Active addiction is tough. Very tough. I remember the night after the runs where I spent all I had, disappeared from my lover, took no phone calls but the dealers and played shadow games till I could go no more. My soul bled out, my body was going to shut down, and nervous system had been in high alert for days on end and was forcing a complete shutdown. Falling asleep because you no longer have any more drugs and are too emotionally worn out to get more at the moment is tortuous, but worse is waking up the next morning! Waking up to a life that literarily hurts to exist in is the pits. Every breath is painful. 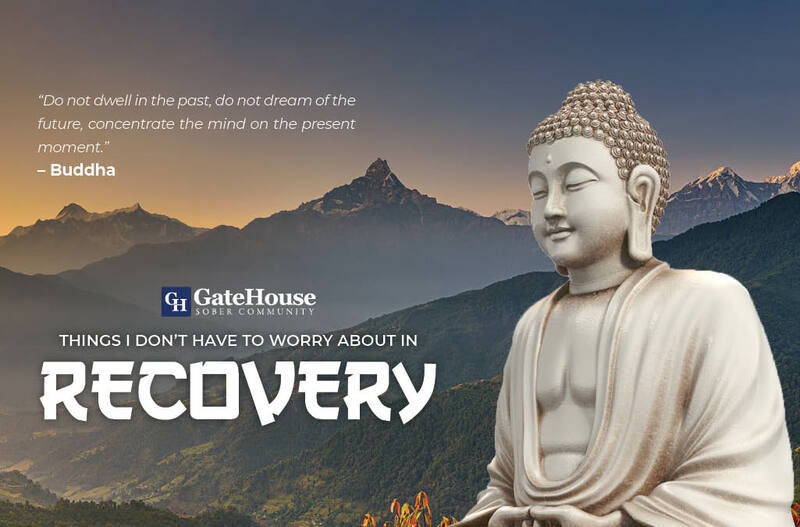 For the above reasons the first on the list of things, I don’t worry about in sobriety often the easiest to overlook amongst the challenges of early recovery or even long-term recovery when things get difficult. 1) Not waking up withdrawing. 2) Not having a criminal life be an issue or option. 3) Not having to deal with the predatory nature other using addicts or the lifestyle. 4) Not having to look over your shoulder. 5) Blowing all your money. 6) Hurting loved ones and yourself. 7) Not having to lie. 8) Not having to cover up your actions. 9) Self-judgment over using drugs or alcohol. 10) The possibility of overdosing. This top 10 is a remedial gratitude list of immediate benefits of getting off drugs and alcohol. These consequences vanish and stay gone after we are physically clean. It doesn’t mean that we will land on the island of emotional sobriety though. There is a leap of faith and a swim to that place. The swim is longer for some than it is for others. Alcoholism and drug addiction is a disease of perception. How we see the world affects our emotional state. Only an unhealthy perception based on false truths leads to the kind of dis-ease that makes drinking appear to be an excellent option to avoid pain. Let’s go further. How about a list of things most have yet take for granted? 1) Life itself – Being alive means it’s not too late to make changes. 2) Health – I have a terminal illness with heart disease but value the health that I do have. So can anyone. Others find gratitude and have it worse than I. 3) American citizenship – It is the dream of millions to live in a free country where opportunity is what you make it. We wake up daily with it. 5) Food – Worse than water. It takes and anguishing weeks or longer for a human to starve to death. In the time it took you to read this blog maybe fifty or more have died of starvation. Two just died while you read this. When did you last eat? It is an injustice to ourselves to not advantage how truly blessed we are. Before gratitude can become an action word, it must first become a state of mind.